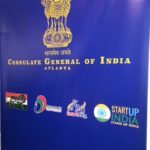 Consulate General of India (Atlanta), in association with KPPB LAW and KNAV recently hosted the ‘India-US Manufacturing Partnership,’ a meet-up of high-powered executives in Atlanta, that explored synergies between Prime Minister Modi’s vision of ‘Make in India’ and President Trump Administration’s ‘America First’ policy. 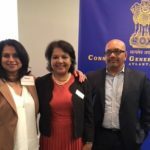 82 business leaders discussed ideas and prospects for promoting mutually beneficial, direct investments in the manufacturing sector in the United States and India. While technology companies have dominated the Indian business presence in the United States, Indian business investments continue to increase in the area of manufacturing.